News Associates presents JournoFest 2019: PR – Journalists’ friend or foe? Successful journalists create positive PR relationships, according to JournoFest’s ‘PR – Journalists’ friend or foe?’ panel, writes Kate Nicholson. 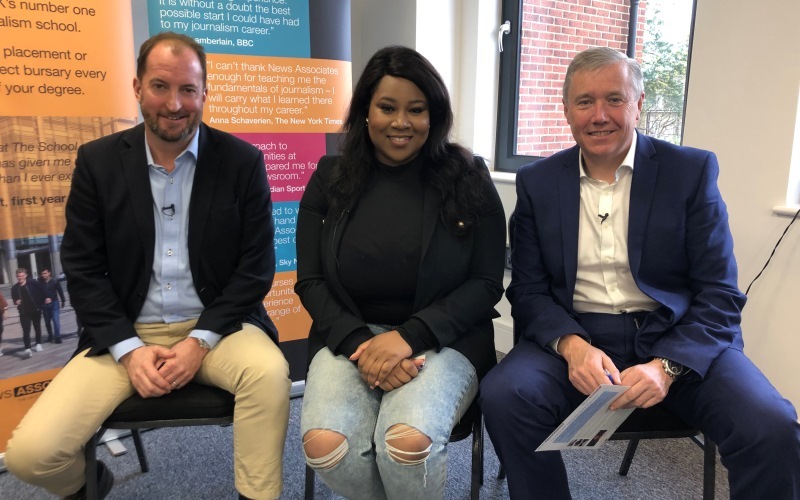 The panel was made up of journalists-turned-PR representatives – Boris Johnson’s former spokesman Guto Harri, external communications director for the London Assembly Funmi Olutoye and Premiership Rugby’s communications director Paul Morgan – who explained the etiquette of this essential but sometimes delicate relationship. Harri began the discussion saying journalists must be aware PRs have a different version of the truth. He said: “The journalist is the person who checks – is this right? “Do I trust this person? News Associates alumnus Olutoye agreed: “There is an opportunity to get one up on another journalist if you have a good relationship with a PR. From a PR perspective, Morgan emphasised a journalist must be accurate and competent before they can be trusted. “If they’re not good, they’re going to be a foe,” he said. This led the panel to discuss what exactly makes a good journalist in a PR’s eyes. Harri said being open to changes in a story’s narrative is crucial. Olutoye added journalists should only make a judgement on a story after listening with a PR. The panel then explored how journalists can initiate that relationship of credibility. Morgan, who was a sports journalist for more than 20 years, advised attending as many events as possible. “If you’re starting out in journalism and you’re at home four nights a week, you’re not doing the right thing – be somewhere, talk to people,” he said. “Journalists don’t really go away. It’s a small world,” says @PaulMorganrugby. The panellists also emphasised the similarities between the industries.